*Tentative. Students should consult Kent State before booking airfare. Courses are offered in a series of "Learning Themes", or tracks. It is encouraged for students to take all courses in the Learning Theme that they select, but it is not required. Students may choose courses from across different Learning Themes as well as the "Stand-Alone Course List". Students may enroll in either 2 or 3 courses (earning 6.0, 9.0 credits, respectively). The Geneva Summer Program is housed on our partner university's campus, Webster University-Geneva. The campus boasts a vibrant and international scene with over 600 students from over 90 countries and faculty representing 25 nations. From your first day on campus, you will find that there is personalized attention to students, with small classes and direct interaction with professors. Our academic facilities are modern, attractive and well-equipped. 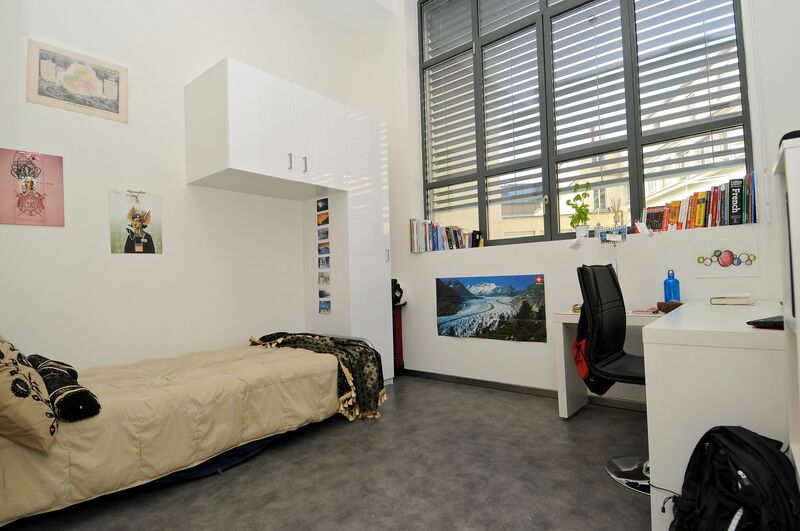 While study abroad students will reside in our off-campus housing facility, Les Berges du Rhone, we have a cafeteria, fitness room, study rooms, and other excellent recreational facilities all located on campus. 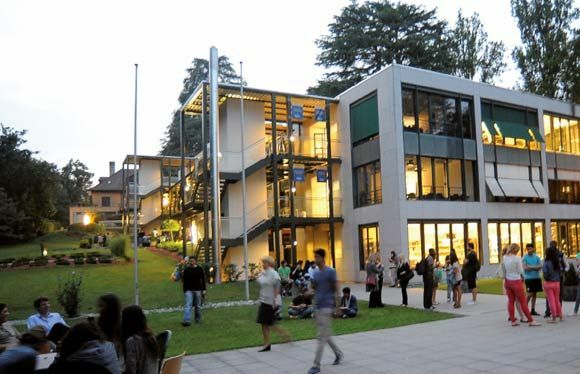 All students reside in the Les Berges du Rhône housing facility, located in the center of Geneva on the banks of the Rhone River. 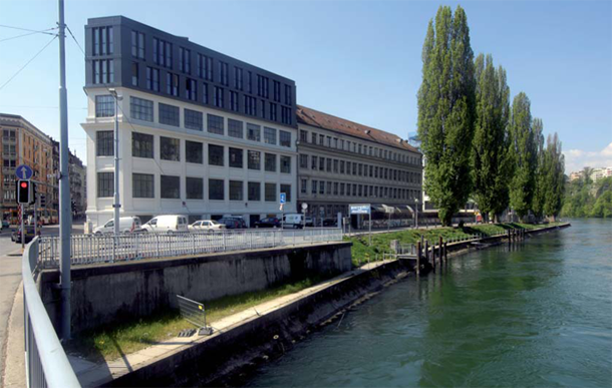 The Les Berges du Rhone residence facility houses 118 students in double or single rooms -subject to availability. All units are fully furnished and include linens, a small bathroom towel, cutlery and cooking utensils, study table, and other amenities. Depending upon the unit, your apartment/studio will either have a private kitchenette or a communal kitchen on the floor. You will be responsible for purchasing your own food while abroad and may certainly visit the on-campus cafeteria (operated by a French chef!). While single rooms are sometimes available, they must be requested early and will be subject to an elevated housing fee. Students with disabilities and other relevant circumstances will be granted available singles before all others. 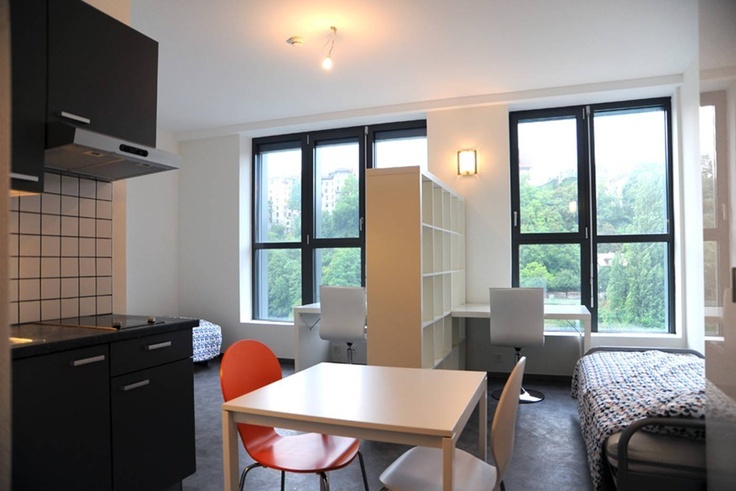 Traditionally, all students will be placed in a double suite with one roommate. Excellent access to public transportation - 2-minute walk to the bus stop! Students will provide information regarding their preferred airport of departure and return, and their flight arrangements will be booked by the travel arrangement provider through Webster University. Furthermore, all students accepted to the program and enrolling in 6.0 credits or more receive the $1,000 WINS Travel Scholarship which will be applied toward the overall round-trip cost of airfare. Geneva is strategically located in the heart of Europe and serves as an excellent starting point to travel to other European destinations. Many students travel independently on the weekends, but it is the responsibility of the student to not miss classes or assignments. Additionally, for most students, it is possible to use summer federal financial aid. We recommend speaking with the Student Financial Aid Office for more information on this and other external scholarship and funding resources. Flight*, Passport, Visa, Meals, Personal Expenses Arranged by individual applicant *$1,000 Flight Scholarship available for each accepted student. These items are not billed to students' accounts, but are independently arranged. Flight is arranged by travel agency in conjunction with the student. Student is responsible for all change/cancellation fees. *The full application process and all materials must be completed and submitted by this deadline date. Once you complete the online KSU materials, you must apply online as a Guest Student to Webster University. Apply online as a Kent State Guest Student: Guest Student Application. Ensure you apply as a "GUEST" student, NOT as a "TRANSFER" student or any other type. Once you have submitted your Kent State Guest Student Application, email Education Abroad (edabroad@kent.edu) with your full name and home university name. Apply through the Kent State online application system. You will login with your FlashLine credentials (given to you after you complete the Guest Application). Once you complete the online KSU materials, you must apply online as a Non-Degree Student at Webster University.